Jesse Casanova, a former student at Vega School (Vega), a brand of The Independent Institute of Education (The IIE), has revealed his 'next generation' social media app idea, which recently gained international attention. "The idea came from observing people and how mobile technology has encouraged us to spend more time engaged in the virtual world," says Casanova. "What we’re working on uses the same technology to bring them back to brick and mortar stores to enjoy real-life experiences again," he adds. According to Vega, although Casanova is limited in terms of the information he is able to share about the app at the moment, he can reveal that it’s more than a social platform – it’s also an opportunity for businesses to engage with the right audiences in a way that has never been seen before. Having graduated with an IIE bachelor of arts in creative brand communications in 2014, Casanova says that he relied heavily on the skills he learned at Vega during the development and pitching process for his app. "I specialised in multimedia while studying at Vega where I developed the skills essential to building my app idea," says Casanova. "Having skills like video editing, digital marketing, branding and design allowed me to achieve so much on a limited budget. I’ve managed every element of this journey, and I’m grateful to Vega for instilling a holistic way of thinking in us," he adds. The app is still in its early development phases, and Casanova has been invited to meet with investors in China. "Securing my position in the Chinese market would almost be like accomplishing the impossible – especially considering that Facebook and the rest of my competitors are banned in China. China also has over 640 million smartphone users, a number that seems to rapidly double the United States entire population," he concludes. 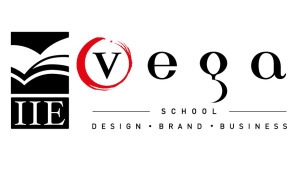 For more information, visit www.vegaschool.com. You can also follow Vega on Facebook, Twitter or on Instagram.